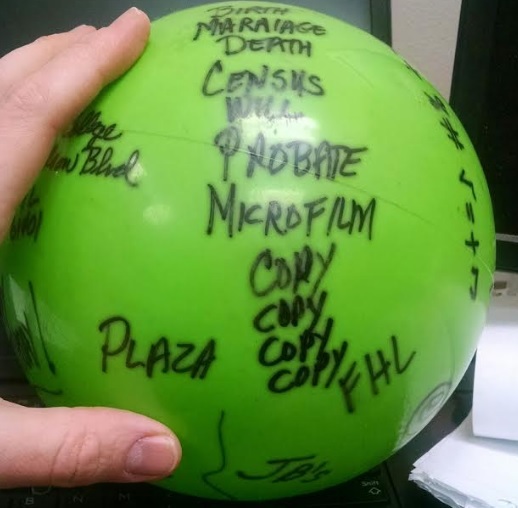 Genealogy can be a ball–that’s no misconception! Note: This originally ran in the former Ancestry Daily News on 29 February 2000. 1) We all have a famous ancestor, somewhere. I have found the names of over three hundred of my ancestors and have yet to have any of them qualify as “famous.” In some cases, you may want to reconsider being related to someone famous. Hard-working, law-abiding relatives are nothing to be ashamed of. Try and document your ancestors accurately, whether they were famous or not. 2) There are no “early” babies or shady stories in my family tree. Trace your ancestry completely for six generations and then we will talk. 4) Immmigrants were all poor. There’s no doubt that the vast majority of them were and came to America with only the clothes on their backs. Once in a while though, you’ll find one who had a little bit of money and came to America hoping to make more. 5) Life before 1900 was one of bucolic pastoral bliss, dotted by barn raisings and church socials. Life before 1900 was hard. No running water, no electricity, no law (in some areas), rudimentary medical care (if any), child labor, and few of life’s creature comforts. This only scratches the surface. I’m not even so certain life was “simple.” If I want a loaf of bread, I go to the store. Great-great-grandma likely did not. 6) Everyone likes to hear the tales of “notorious” ancestors. Not everyone will think the story of great-great-great-grandma’s four husbands, two divorces, involvement in a murder, and the running of a tavern should be included in the family history. 10) Genealogy is not an intellectual hobby. Ever tried to read through (and understand) sixty pages of court records from the 1840s? I’ve taken calculus exams that made more sense. Same thing goes for platting property in metes and bounds. Talk about applied mathematics. 11) My family has a castle in Europe. Some did, but don’t believe it until you see it. Don’t really believe it until you see the deed, title, etc. 12) My ancestor served with Washington, Lee, Grant, etc. Choose your war . . . take your pick. There are lots of these stories. Check them out before believing them. Document your ancestor’s service, accurately. 18) I can do all my research using only vital records, obituaries, and census records.Goodness! There’s a vast treasure trove of other sources out there that you can utilize. 23) Someone has already traced my entire family tree. I Just Have to Find It. That’s the tricky part—finding it! Then comes the fun of documenting it. 24) Documentation is only for genealogical geeks who get cheap thrills by asking, “Where did you find it?” How will you ever compare three different birth dates for Grandpa if you don’t know where you obtained each date? 26) Genealogists are rude at the courthouse or library. Genealogists are people and a few are rude. Just make certain it’s not you. No family historian wants to walk into the courthouse just after the most obnoxious genealogist on the planet has left the building. 27) Genealogy is boring. You must be kidding. I’ve learned a great deal about history, culture, and myself researching my own family. 30) You are completely addicted if you search the ingredient list of your breakfast cereal for your ancestral surnames. This is likely true, but I’m not admitting to this one in public! This hasn’t changed. 31. DNA solves every thing. NOT. One more item to add to the list. I would add one slight amendment to #1: I don’t have any ancestors who are famous today, but several of them were famous in their own time. Just because they didn’t make the history books doesn’t mean they weren’t well known once upon a time. Thank you for this information, u’ve helped clear up some misconceptions that either I was thinking about or have done but didn’t know what to expect. On no. 11 above on your list – that’s what got me started in genealogy – an uncle whom I didn’t like, told me our family owned a castle in England. I decided there and then to straighten him out. Sure enough, we were sawyers, masons, cooks, etc. He didn’t say much after that, and I have been doing genealogy since the mid 1960’s. I am however, glad he challenged me, as I can’t find anything that is more frustrating, rewarding, and a sure cure for anything that ails you as it keeps you lured in – until all leads are followed. Then more pop up. Love it. My family had a castle in Scotland. Today it is a pile of rubble. Mr Neill this is an awesome list and several had me laughing quite a bit. 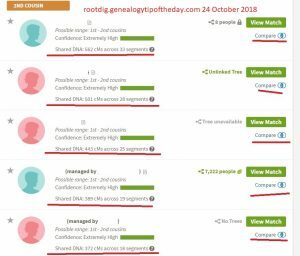 Thank you for the list of misconceptions for genealogy. I have had to learn the hard way about a few, and not figured out a few others until I started researching, duh! Love your work and great information! Some things we have to learn the hard way–all of us, myself included. 2. Check out those family stories, there often is a grain of truth. Finding the grain is the trick. Example, my grandfather came to this country in 1914 at the age of 7. He claimed he was on the same ship as Teddy Roosevelt. He really was. My grandfather came on the Imperator, which picked up passengers from a disabled ship. Roosevelt was on the disabled ship returning from a wedding in England. He was one of the passengers who was picked up. My family had 4 brothers and one sister who came here. All documented, thank you. I know, they are the exception. I actually have several families with several siblings who immigrated . The running joke about “three brothers” comes from a number of family histories that seem to often have three brothers who immigrated with one settling in New England, one in the Mid-Atlantic, and one in the South. In those cases there’s nothing to connect them other than the same last name. I have the “three brothers” situation, too. And yes, 1 went to the Chicago area, my ggf went to MD, & 1 brother stayed in Denmark. At least that’s all we know so far. My grandfather was one of eleven so who knows. Nothing about Indian (Native American) princesses? I started my Genealogy in the 60s and found a few Surprises as for being DONE or near DONE!! Its a FUN Hobby but one of the GG Nieces is going to have to finish this Family Genealogy because I diffinilly won,t be doing it!! !